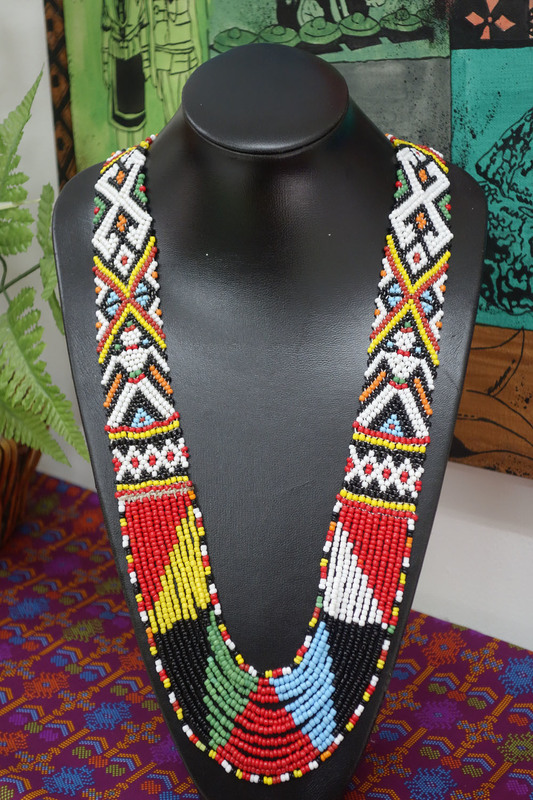 Colorful beaded Pinakol necklace, handmade beautiful bead-work of Rungus community in the Northen part of Sabah. It is produced by stringing together colorful beads in a delicate manner. The Pinakol design resembles a few of their traditional ethnic motifs which have been passed down through generations.